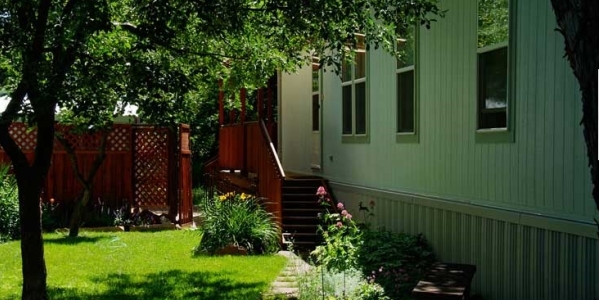 Is there anything more affordable than mobile home living? Is there a better and safer place for your children to live and play than in a mobile home park? Is there a better place to form a neighborly and cooperative community than in a mobile home park? So what is the problem? The source of the difficulty has been that the residents of the park own their own homes but must rent the pads that their homes stand on from a landowner. What occurs is a conflict of ownership. Laws and ordinances that cover ordinary rental situations or ordinary home ownership do not apply to owners and residents of mobile homes. In Colorado, the owner of the property on which the mobile home sits can evict a family almost without cause and within a few days. He can sell the property to a developer without adequate notice, who can then change the use of the park, again, without notice. And all of this can happen, usually forcing the residents to move and forfeit all of the equity in their homes—which can range between $15,000 and $80,000, the entire life savings of most of the residents. The park owner can raise the pad rent without limit and without justification, relentlessly chewing up a retiree’s income. As the law now stands, the owner of the park must provide water and sewage utilities but can at the same time refuse the city and county access to “his/her” property to inspect those very utilities for quality and serviceability. In short, landowners hold in their hands the health, living, safety, and life-savings of their residents. Ownership rights are grossly out of balance. Surely, by now, everyone in Boulder has heard about the struggle of the Orchard Grove community to keep their mobile home park affordable and livable. That struggle goes on. Recently some residents have done some research and found that most states in the U.S. have stronger and more equitable laws about mobile home owner rights than Colorado does. Many other states have spelled out detailed “First refusal” or “Purchase Opportunity” rights when their park is going up for sale. Some also require the landlord to reimburse moving expenses up to the amount of home equity if the residents are forced to move. We have met with legislators and heard some of our strong, but reasonable, opposition and come up with a new bill for Colorado that will advance justice and equity for mobile home residents and landowners alike. The good news is that the bill has passed through the State Senate Judiciary Committee and will go on to the Senate floor the first week in April. We will be meeting with our opposition and are now working cooperatively for a bill that will help residents as well as landowners achieve what we all desire: secure, happy, and healthy lives for all mobile home residents—and landowners. Legislative contacts tell us that, after a few minor and helpful amendments, the law should pass the Senate and the House before the end of the session in May. Healthy cooperation and sensitivity to everyone’s needs may win the day yet!